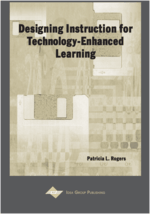 In this chapter of the section, I present a set of educational technology integration and implementation principles, or eTIPs. These principles are offered as an explanation of the conditions that should be present in order for educational technology integration to be effective. The principles are an elaboration of two premises: First, that the teacher must act as an instructional designer, planning the use of the technology so it will support student learning. Second, that the school environment must support teachers in this role by providing adequate technology support. Thinking about these principles while deciding whether or how to integrate technology can help a teacher to take an instructional design perspective while also taking the “technology ecology” of the setting into perspective.